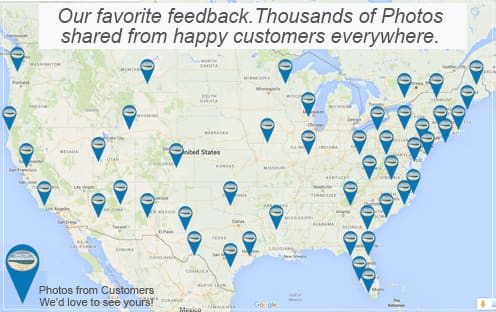 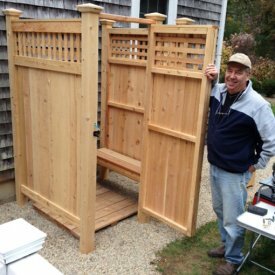 One of the best things we receive are photos from happy customers. 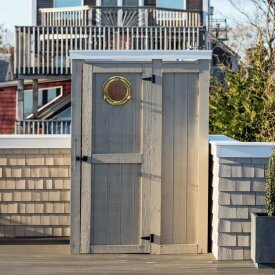 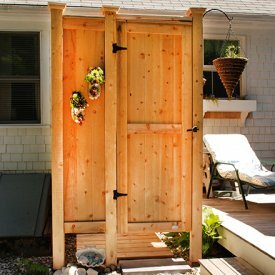 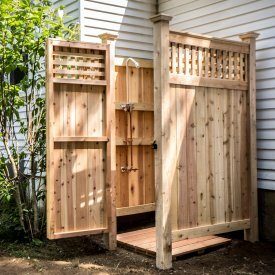 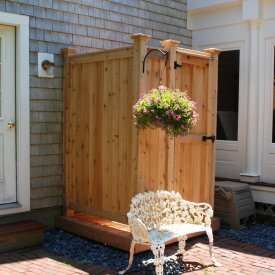 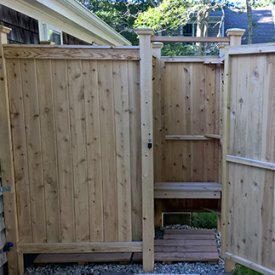 It is a special feeling and gives us even more outdoor shower ideas. 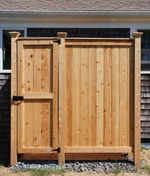 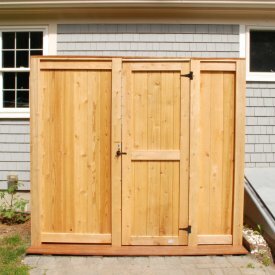 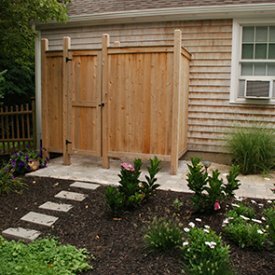 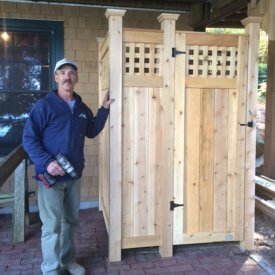 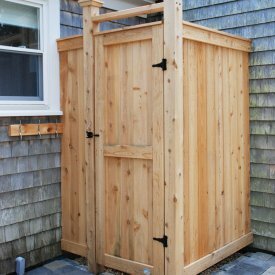 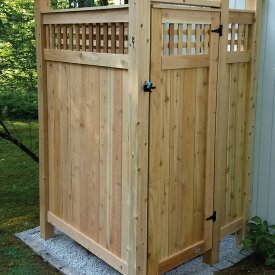 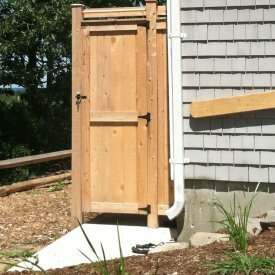 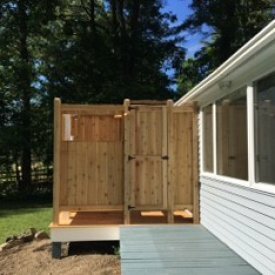 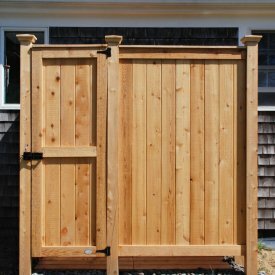 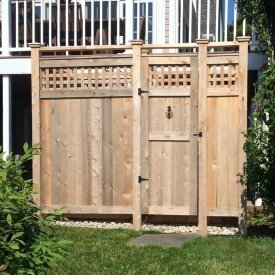 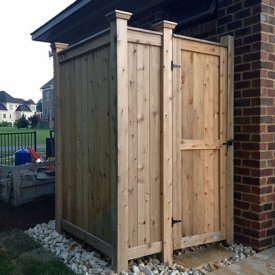 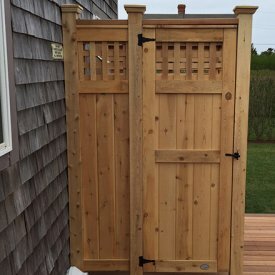 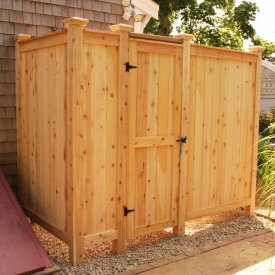 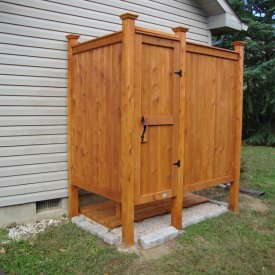 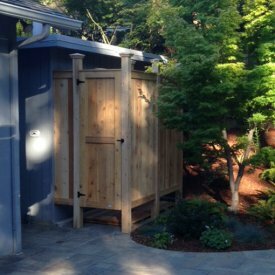 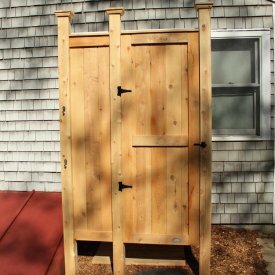 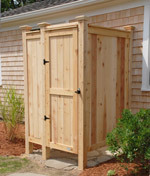 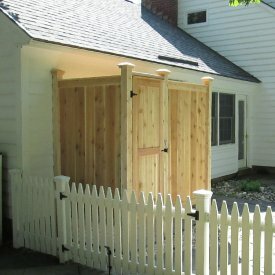 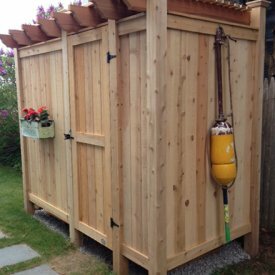 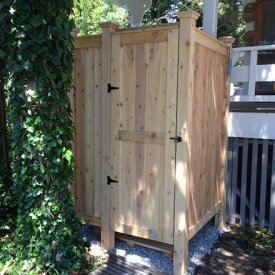 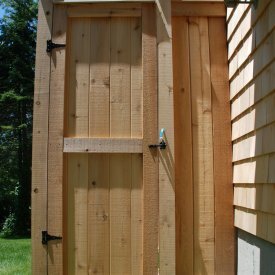 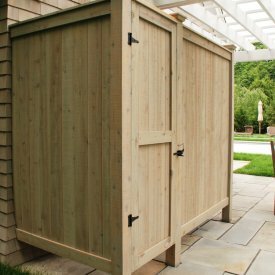 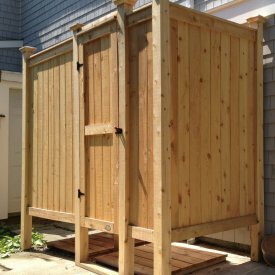 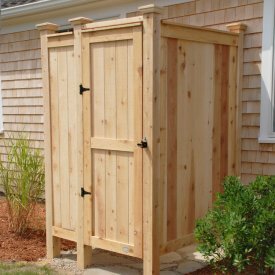 Our outdoor shower kits have been installed in many locations. 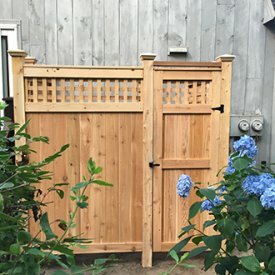 One customer said it saved his marriage! 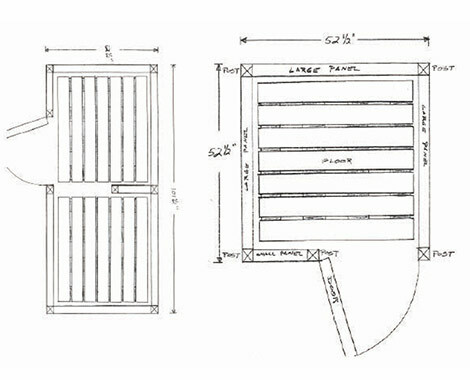 “Your Kits = No Fits!”. 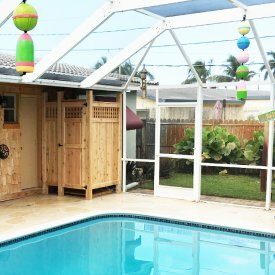 We won’t deny the fun and time saving benefits! 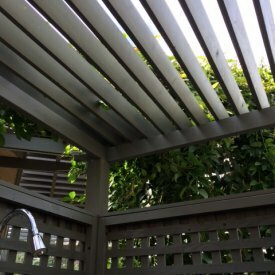 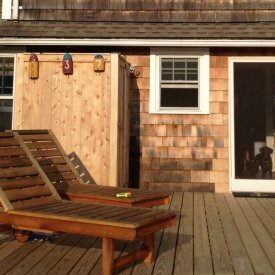 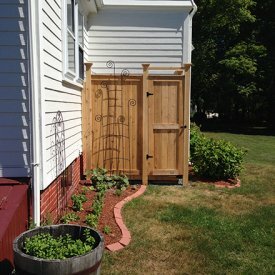 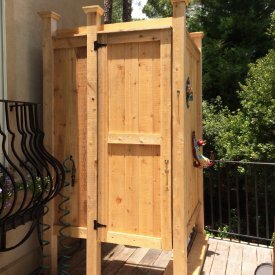 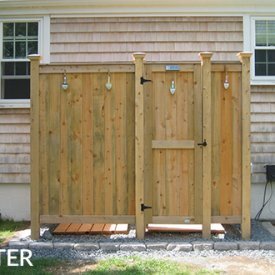 Be that as it may, browse these customer submitted photos to get your outdoor shower ideas. 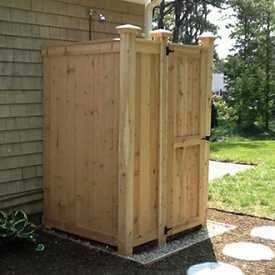 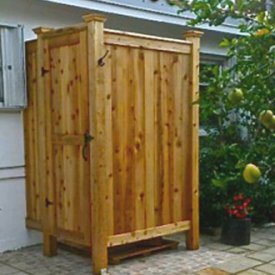 Many of these outdoor showers were sent by customers, so please pardon some that may be low resolution.